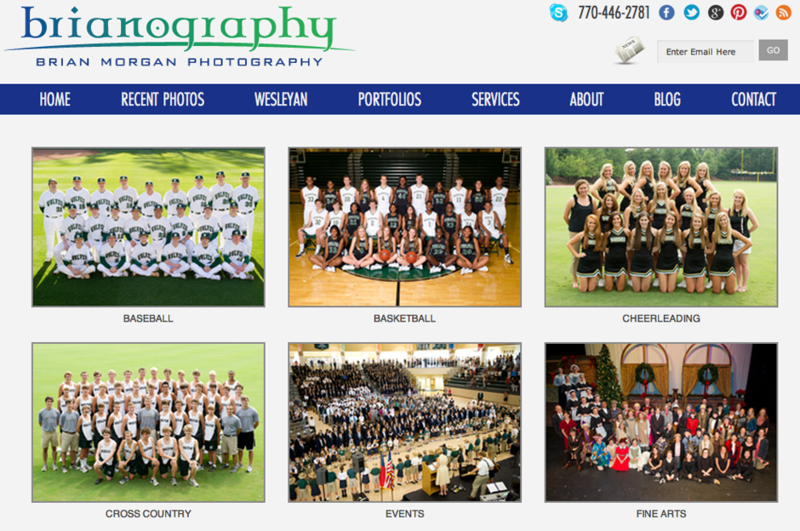 On July 1st, the newly renovated BRIANOGRAPHY site will be officially launched. In partnership with Creative Soda, the site has been overhauled to provide a more clean and consistent user experience. Some of the new features include common menus across the primary website, the gallery site, and the blog, a quick way to view Wesleyan photos by category with a dedicated top level menu, and payment integration built into the website under the Services sections so you can make session fee deposits and other types of payments directly from the website with any major credit card. In addition, there is a new contact form, new social networking icons and integration, and a direct connection to Skype. And, a big increase in speed! Check it out and be sure to send me any feedback.